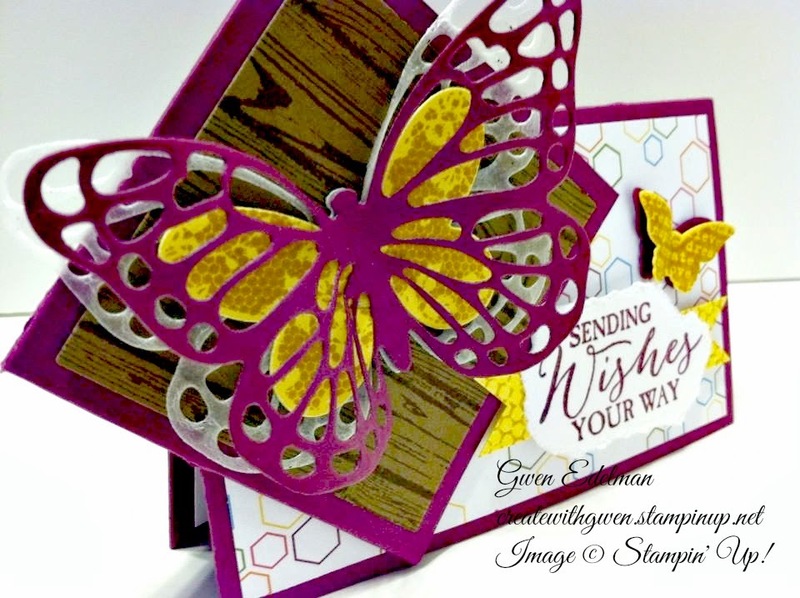 Create with Gwen: Butterfly Basics Bundle! OCCASIONS 2015 SPRING CATALOG and SALE-A-BRATION EVENT runs through March 31, 2015!! 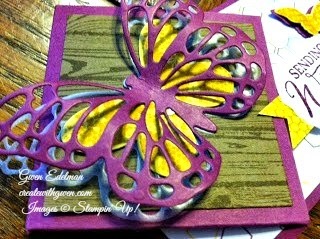 Another sample of the Butterfly Basics Stamp Set and Framelits Bundle! 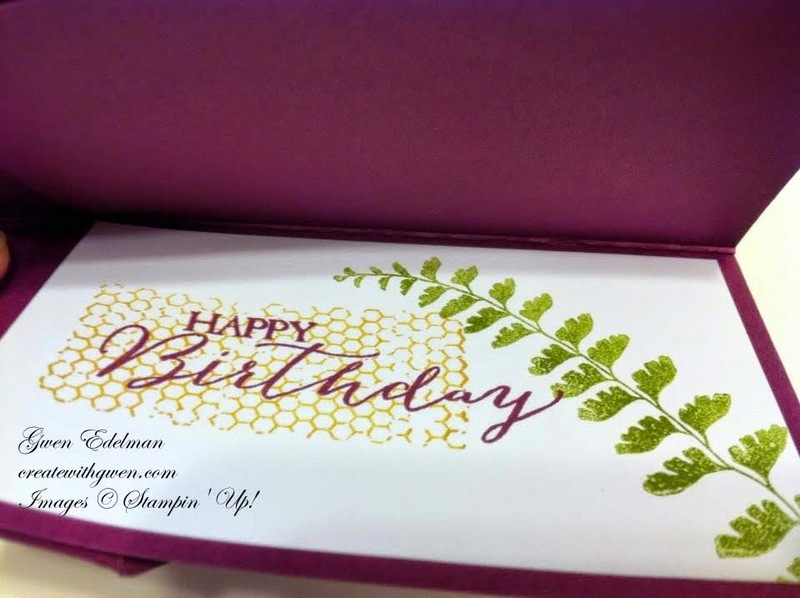 I also used the "waxed paper" die cut butterfly too! Adds a little extra umph to the finished look don't ya think? and the fact that I don't like to throw anything away! If you have a die cutter, my favorite is the Big Shot (found HERE!) you already know to use waxed paper for fine detail dies to release the bits and pieces of the design easily, and to run through machine at twice. 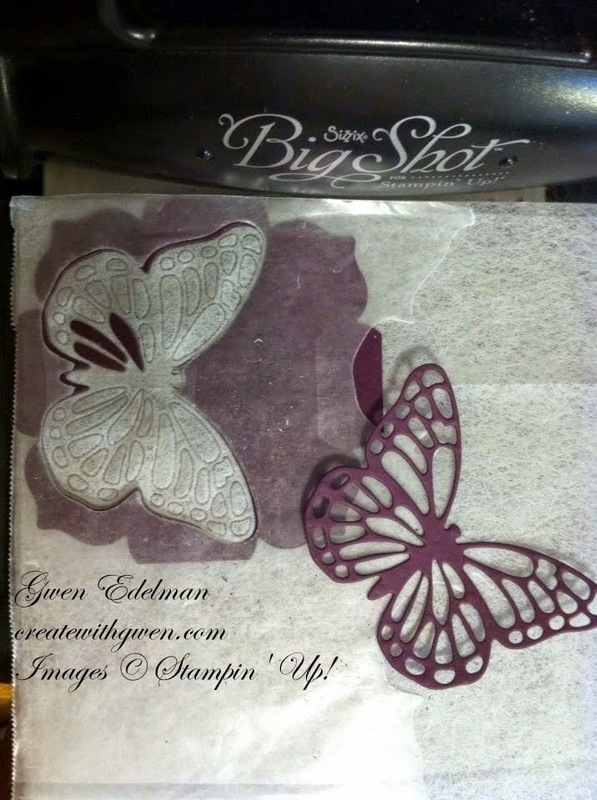 I also use Karen Burniston's idea of layering dryer sheets on the bottom cutting plate before the card stock layer. But as every Big Shot has a different tension, mine works best using only 2 dryer sheets, not 6. If you get those little bumps from your die on your cut image, your tension is tighter, so just use one less dryer sheet-or more sheets if your machine doesn't cut cleanly. Loving every stamp is the Butterfly Basics set! $50 (before s/h and tax) you'll receive this stand up desk calendar Here, I created using the Butterfly Basics Bundle! $100 (before s/h and tax) you'll receive the stand up desk calendar and a set of 4 handcrafted cards I created using the Butterfly Basics Bundle, in appreciation and as a special Thank You from me! AND, You also get to choose 1 FREE items from the Sale-a-bration 2015 Brochure for every $50 you spend! Remember, if you plan to place an order over $150, please do not use the code. You will receive your own hostess rewards! So Have Fun! Visit "My Events" for all my classes, order appreciation gift, more fun and opportunity to get stampin!